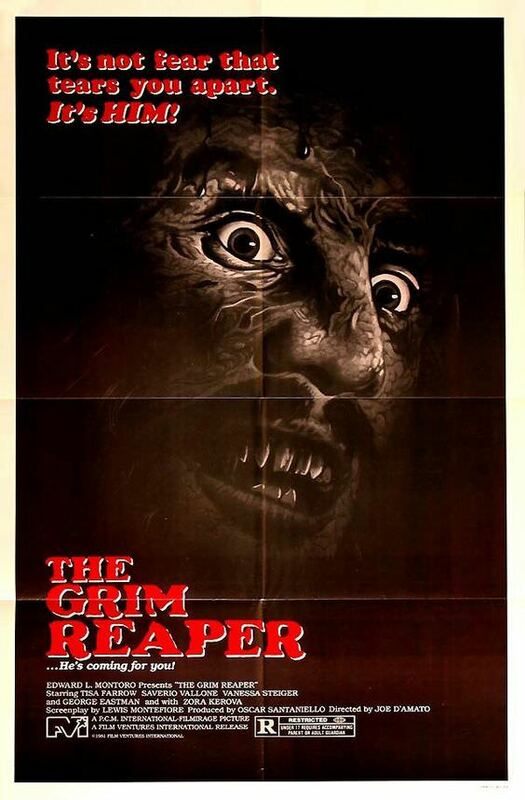 Released as "The Grim Reaper". This cuts out some of the gore, and uses music from Kingdom of the Spider in place of the original score. This was better than I expected. Blind bought the BD to participate, and happy that it is less exploitative than some video nasties. 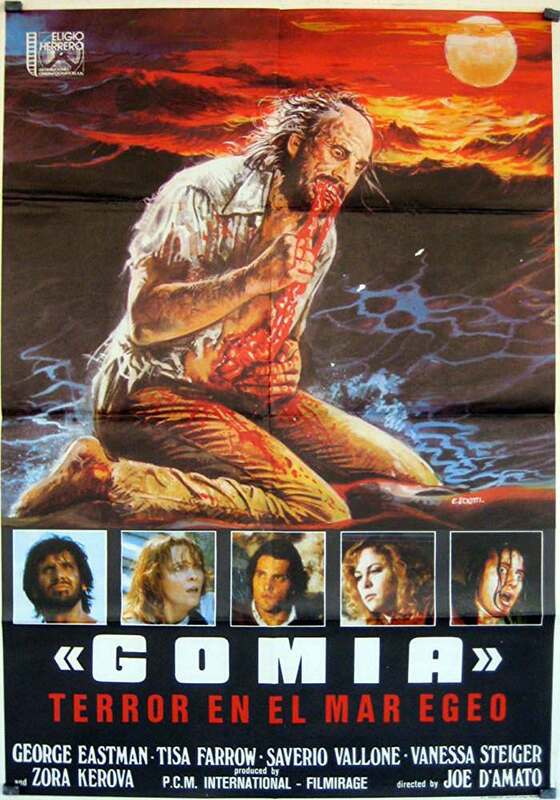 Some good makeup and the gore is sometimes shocking but not overused. And a great bonus that the BD includes a full documentary on 42nd Street, and it’s quite good. 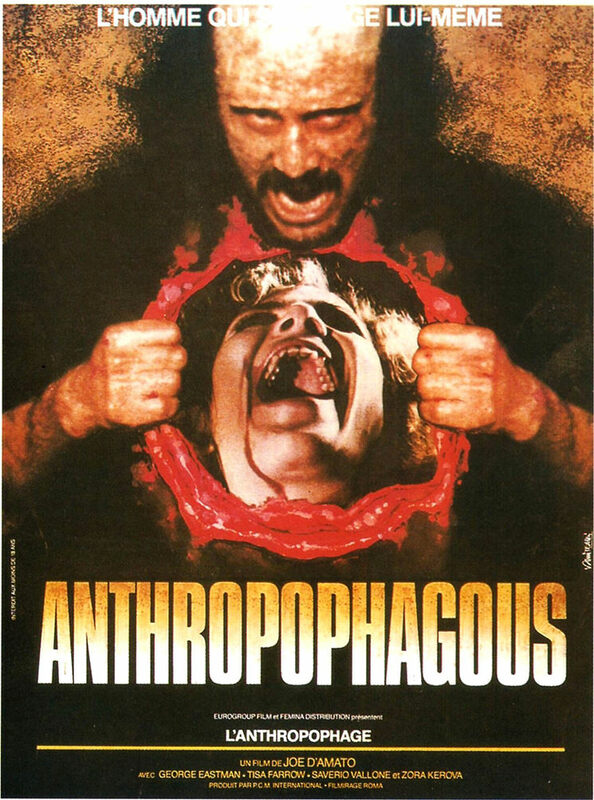 Anropophagus is such a cool title, I've never seen the film before but titles I cannot pronounce always make the film seem even more gnarly than they probably are. I'm surprised Criterion didn't release an edition. Antsropdoagus was a tease, it held suspense better than other movies where nothing happens for so long at least before it’s nonsensical conclusion. Curious about the psychic, she adds some great foreboding and Italian films of this era often seem to have some comical odd supernatural tangent (like a misplaced psychic in our slasher [?] movie). I think the best part of early Antrophagus was the foreboding, we all know they're going to die. I've seen other movies where they try this stuff not nearly as effectively, it especially works here because there's no clue what these people are facing (other than maybe an Atrophkjnfjas,dhnsjkdbn something). “Eat me damn you,” who says that? Good thing our villain ate his wife (first) instead of their already dead kid, because that would have really been in bad taste. 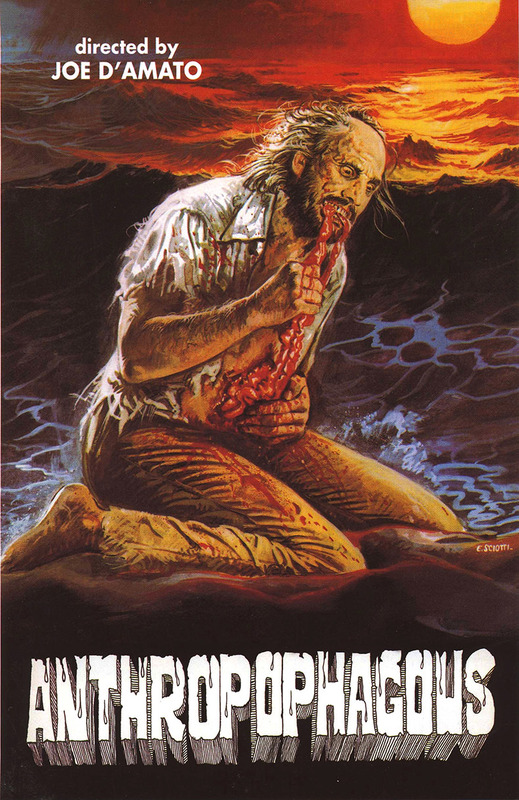 The real hook here is that it’s a stealth cannibal film, for those of us who didn’t decipher the latin, or something, language title – come for the wondering aimlessly across a breach town, stay for the baby eating. Cool use of killer point of view and the scene where they’re on the beach with camera cutting away to reveal the pregnant woman being dragged off above them is brilliant. I also like the blood soaked survivor they found and the idea that she can smell the killer, which seems somehow inappropriate. The perfectly timed hanging suicide to jump scare our Scooby Doo crew is so odd, and what a long rope - wait for it, ok jump to your down now. I hate that the poster and cover art so obviously spoil the ending. 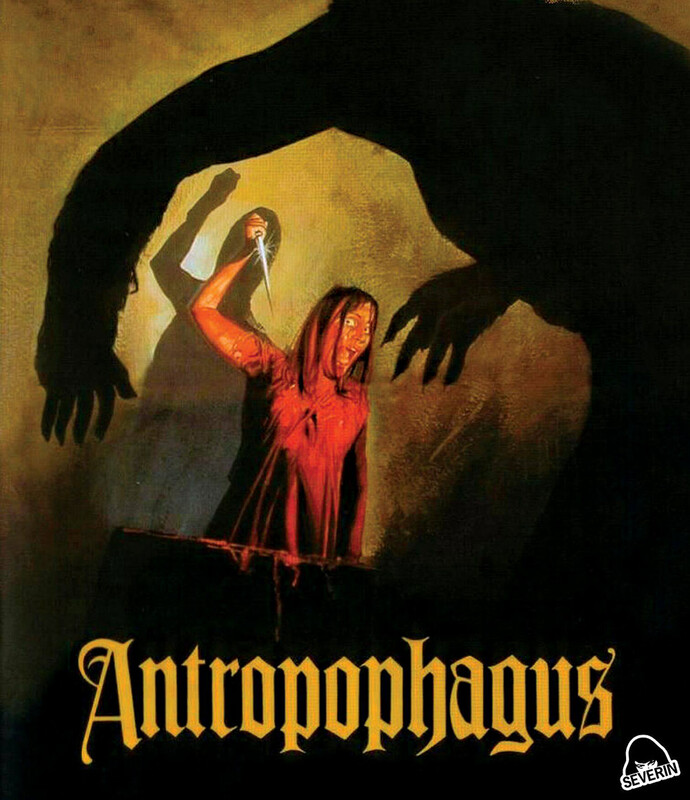 So in the end Anthropophagous was a film about a middle aged guy wheezily chasing after young adults; looks like I've got my Halloween costume lined up - I am Antopopfungus. Last edited by Undeadcow; 10-25-18 at 05:35 PM. What's the preferred audio, English or Italian? I presume both soundtracks are dubs but curious which is better to watch. I'm not sure which is superior but the English language dialogue doesn't always match the subtitles so for what that's worth. I actually started it in Italian then switched and cannot say it made much of a difference. Thanks, probably just do English then. I'm sure it's one of those that was made intended for international distribution so the spoken language is probably not that important. I can't top UndeadCow's review. Thanks for the laugh! I'll just say it was better than I expected. I'm always down for a "group of people on a deserted island/house getting picked off" trope. And I liked that we didn't know who/what it was. Though the cover IS a rotten spoiler. 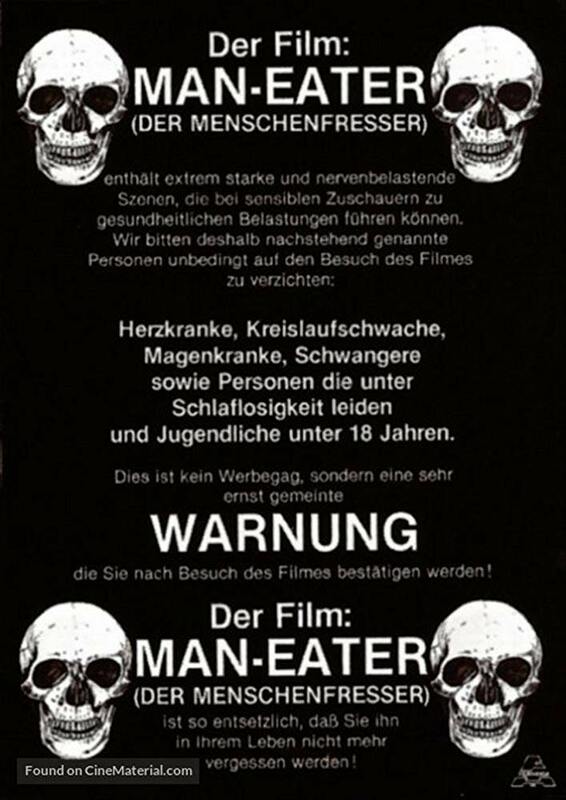 The fetus scene and the eat-your-own-guts scene were the nastiest bits I've seen this month, which makes sense for the Video Nasties theme tonight. 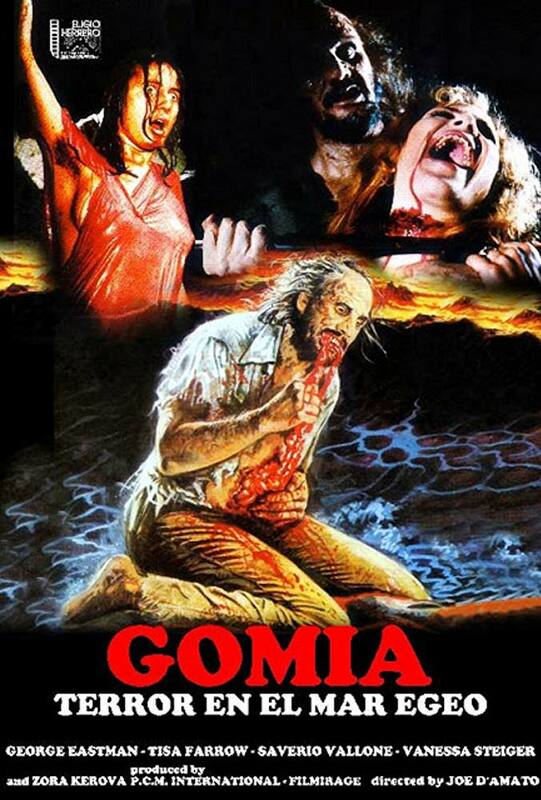 It was a bit slow in the middle, but then I find that true with a lot of Italian horror. Overall, it was entertaining, but I won't race to see Absurd. I liked this. I probably could have done without the two big gross out scenes but they do add to the sleaze factor and they were shocking. The locations used were great. I liked the buildup in the bright but deserted town, the narrow empty byways hinting at something sinister, a mystery that continued to grow. There were lots of atmospheric and eerie scenes. I especially liked the catacombs full of rats, bats, and skeletons (not to mention the crumbling arches that lead up to them) and the room of the dead behind the mirror and then the sudden blast of light starting the backstory. I didn't really find any of the film particularly slow, maybe I was too much into the sets and locations to notice. I feared the worse after a few rough subset choices but thankfully it was not too bad. Haven't seen this one in years but I do plan on getting to it for this challenge. I remember the build up to when Antropophagus is first revealed to be pretty good. I don't have too much to add. I agree with most. It might have started a bit slow, but it did have nice atmosphere in the beginning. 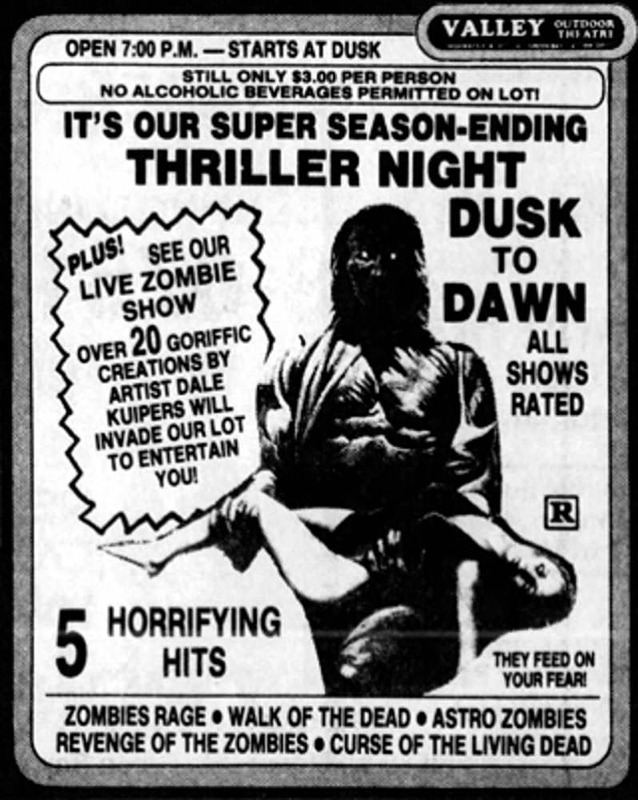 I was really tired the night I watched this, and I think it added to the odd mood of the film.